Thanks again to chasingtwilight for another yummy recipe! You're fantastic!! (Optional) To make handling easier you can dip the bottoms of the cookies in melted chocolate first and let them sit to thoroughly dry. Place each shortbread cookie in cup of a greased muffin tin. In 2-quart saucepan over medium-low heat, combine butter, sugar and corn syrup. Heat to a full boil, stirring constantly with a wooden spoon. Boil 3 minutes, stirring constantly. Slowly pour in sweetened condensed milk, stirring constantly. Continue cooking over low heat until candy thermometer reaches 200-210 degrees. Immediately stir in toasted coconut and mix well. Spoon mixture by teaspoonfuls over shortbread cookies. Remove cooled cookies from muffin tin onto waxed paper. Melt chocolate chips and drizzle thinly in stripes over cookies and let chocolate harden at room temperature. We're going crazy today! I'm trying to make up for not posting for awhile. These are a great "B" snack or would be oh-so-cute for a baby shower. Thanks to chasingtwilight for this great recipe!! Whisk together flour, salt, and baking powder in a large bowl and then set it aside. Mix the butter and granulated sugar into a seperate bowl and mix that (on medium if you have an electric mixer) until the it’s pale and fluffy. Add an egg and vanilla. By this time I’m sure you’re arm’s getting tired, but if you have an electric mixer, reduce the speed to low. Now add your original flour mixture; and mix them together until no visible difference remains. Divide the dough into thirds, and knead one color of food coloring into the first piece and then your second food coloring into another. Preheat your oven to 325! Remove one disk from refrigerator and let it stand at room temperature until slightly soft, which takes about 5 to 10 minutes. Roll out dough on a piece of lightly floured parchment to a 1/8-inch thickness, dusting with flour as needed. Cut out circles with a 1 3/4 inch round cutter, then lightly press with a 1 1/2 inch round cutter. Make your button holes with a skewer. Repeat with remaining dough. Space 1 1/2 inches apart on baking sheets lined with parchment paper and sprinkle them with the sanding sugar. Bake 16 to 18 minutes, then let them cool completely. Your cookies can be stored in airtight containers at room temperature for up to one week. NOTES: I'd use a round glass/cup to cut the cookies out and a smaller glass to make the button "edges". It's a Sunday morning and you need something for the kiddos to do...how about letting them squish, smash, and spell their way to a yummy breakfast? Give each child one or two biscuits at at time and form them into the shape of letters. Set them on an ungreased cokie sheet. Prepare small bowls of topping options. Melt butter in a small bowl. Brush the biscuits with melted butter and let kids choose toppings to sprinkle on top. Bake as directed on the biscuit roll package. Serve with Peanut Butter, Jelly, or Scrambled Eggs. Sift together dry ingredients. Cut in butter till mixture resembles coarse crumbs. Combine egg and milk; add to flour mixture all at once. Stir till dough is moistened. Roll or form into biscuit shapes and bake at 450 degrees for 10 minutes. Need to make a splash this Memorial Day? Simply freeze some red Gatorade (or Koolaid) and some blue Gatorade in ice cube trays. Pop out and serve with lemon-lime soda and you have a drink everyone will salute for! Memorial Day is coming up and I found a couple fun patriotic things to make. 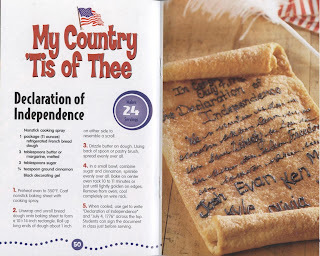 Let the kids help deocrate the "Declaration of Independence" bread and talk to them about all the men and women who thought freedom was so important that they were willing do die so we could be free. I am certainly grateful and especially for the family member we have overseas right now. We love you! We're back! Sorry I haven't posted in awhile. May is a crazy time for everyone and we had a little house flood to top it off. ACK! We're still cookin' though, don't worry! Here's a little "under the sea" dinner (no pun intended, haha!). These sandwiches are for Lilith, she said her oven broke! Horrors!!! Here's a fun dinner idea that you can use with most any filling (salads, chili dogs, grilled chicken, you name it!). 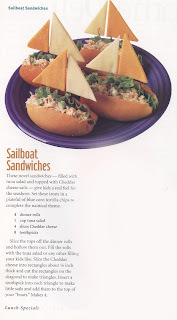 Simpy fill your favorite rolls and attach cheese "sails" with toothpicks. 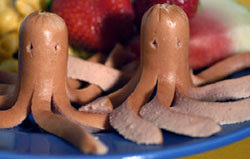 I made these for the kids w/ small dinner rolls and added a sea of mac 'n' cheese with goldfish crackers and an octopus hot dog. (make a few slices in the hot dog lengthwise, leaving about 2 inches uncut at the top. Poke two "eyes" with a toothpick and boil the hot dogs. The legs will curl up). Ahoy! 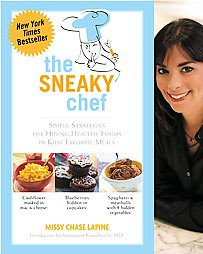 Michelle posted about Sneaky Chef breakfast cookies that her kids gobble up so I was intrigued!!! Healthy food? Gobbled up? I must know more! 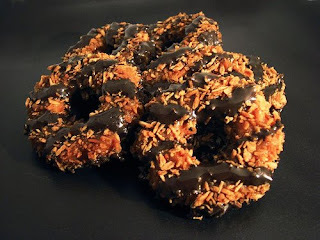 I did some surfing and found that the author of the Sneaky Chef posted her breakfast cookie recipe online, so I figured it was ok to post it here. Here's a link to her original article. We'll be making these little gems today! Enjoy! Nutrition Highlights: whole grains, calcium, and protein. Rich in vitamins B and E, iron, potassium, folic acid, calcium, tryptophan protein, and fiber. 1. Preheat oven to 400 degrees and line a baking sheet with parchment paper (or spray with oil). 2. Using a rolling pin, gently crush the cereal (in a sealed plastic bag) into coarsely crushed flakes. 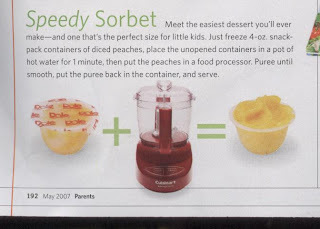 Alternatively, you can quickly pulse the cereal in a food processor. 3. In a large mixing bowl, whisk together Flour Blend, crushed cereal, baking soda, salt and cinnamon. In another bowl, whisk together egg, sugar, oil, vanilla, and ricotta cheese. Add the dry ingredients to the wet and mix just enough to moisten dry ingredients. Drop single tablespoonfuls onto the baking sheets, leaving about an inch between cookies. Flatten cookies with the back of a fork and then sprinkle tops generously with cinnamon sugar (or just sugar if your kids don’t like the cinnamon flavor). Bake about 18 to 20 minutes, or until nicely browned and crispy around the edges. *Cinnamon has been found to help stabilize blood-glucose levels, thereby preventing the usual “crash and burn” feeling we all get after eating sweets. Breakfast is sometimes hard, you want something easy, quick, and healthy. These have been a favorite around here for awhile. What do your kids like for breakfast? 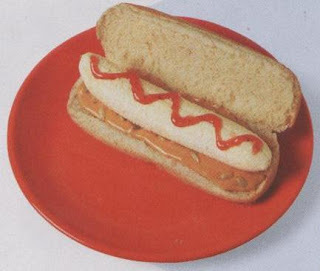 Spread hot dog bun with PButter and sprinkle wheat germ on top. Top with a banana and jam "ketchup". Yum! You know those individual servings of diced fruit that come in a little plastic bowl? They were super-cheap at the store (99 cents for 6! ), so I bought a bunch. 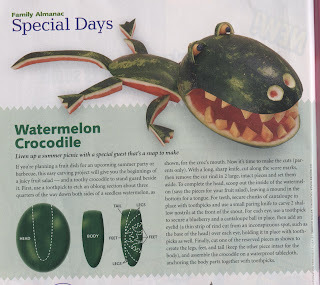 Lo and behold, I found this great recipe in my archives, originally in Parents Magazine. This is perfect for a quick summer snack! The girls went ga-ga over the fruit "ice cream"! Simply freeze the fruit bowls, place in hot water for one minute, then mix up in a blender or food processor. Voila! Instant sorbet! Note: I have also read that you can freeze an entire can of fruit (fruit in heavy syrup works best) then do the same thing.